Select Print Density Check Pattern. Select Print from the File menu. Select a darker or lighter setting in the Color Correction box as necessary. 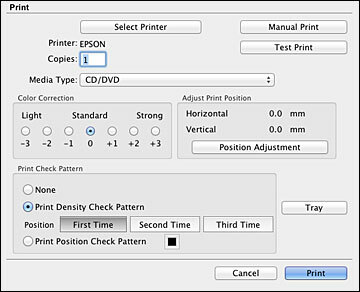 Select Print Density Check Pattern and select Second Time. Click Print to print another test pattern.